Look what turned up in our letterbox today. All the way from India, confirmed by the Indian stamps. The envelope, addressed to George, was typewritten, as in by a very old school typewriter. The sender? A Dr Anand from an Indian Leprosy Mission in Delhi. Needless to say the letter was binned. 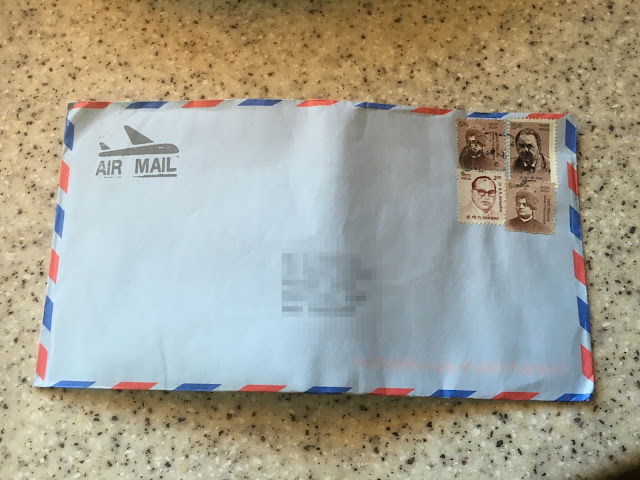 However it was so unusual to see an envelope in our letter box like this.